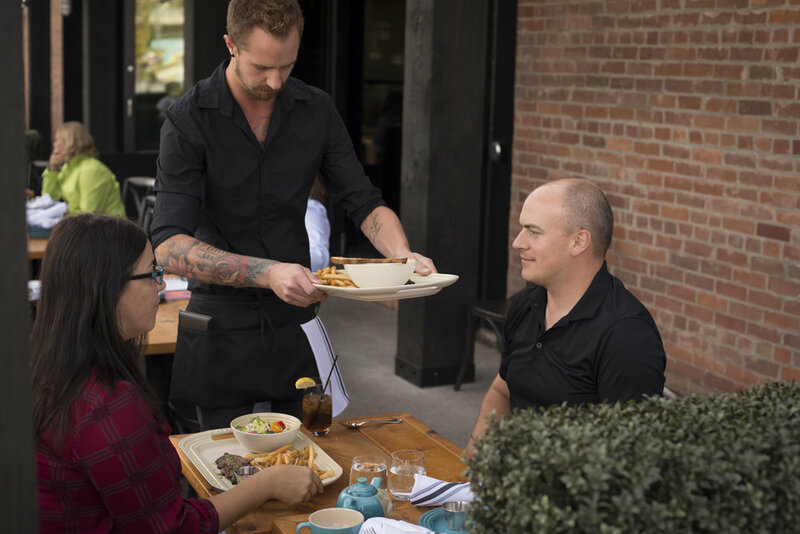 East Village is where Calgary began and where the future of city life is unfolding. Delivered by master developer Calgary Municipal Land Corporation (CMLC), EV offers a new way of living downtown with walkable access to the best of city life - be it public art and culture, new civic institutions like the new Central Library, entertainment hubs like Studio Bell, home of the National Music Centre, public spaces like RiverWalk and new retail and dining opportunities. 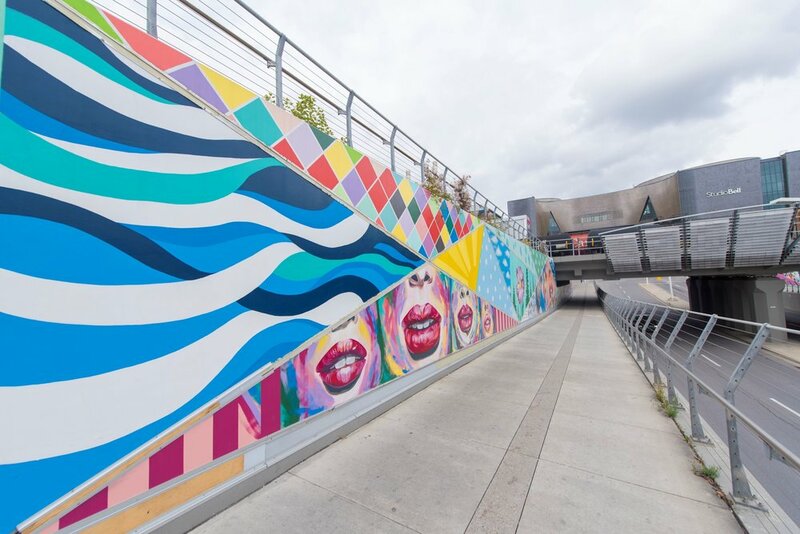 Art and culture are literally built-in to East Village – both were an integral part of the master plan that has guided the development of EV since 2009. Today, with the new Central Library and Studio Bell, home of the National Music Centre both open, major public art installations throughout the neighbourhood, and a revitalized Fort Calgary emerging, art and culture are making East Village a destination for every Calgarian. 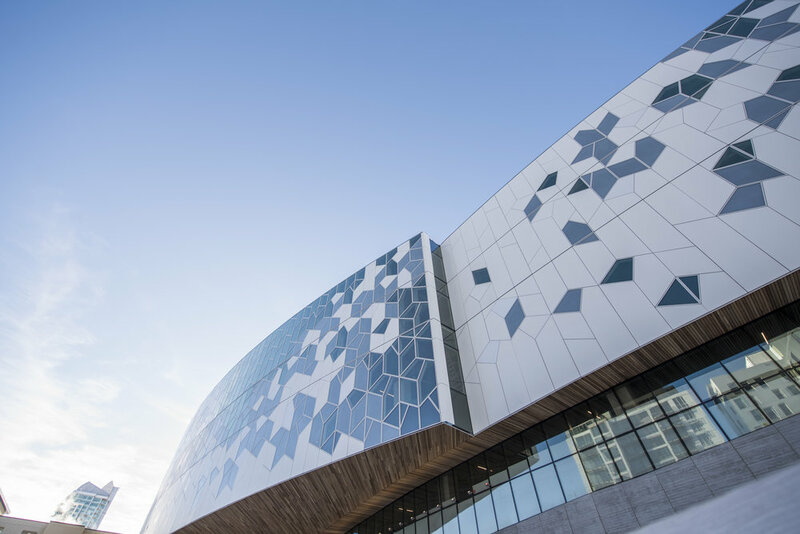 Now open, Calgary's new Central Library is a friendly city icon that invites all Calgarians to gather, learn, read, play, be challenged, relax, hang out and connect. 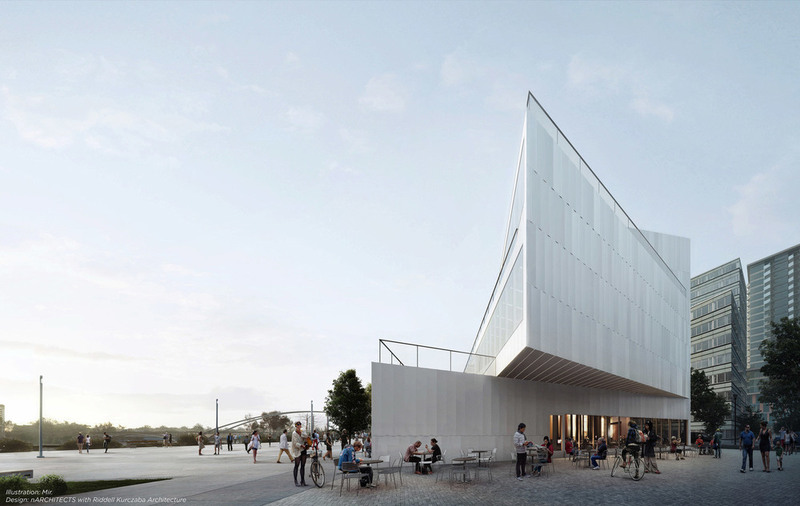 Snøhetta of Oslo/New York and Calgary’s DIALOG have designed a building that will be Calgary's leading library for the next century. 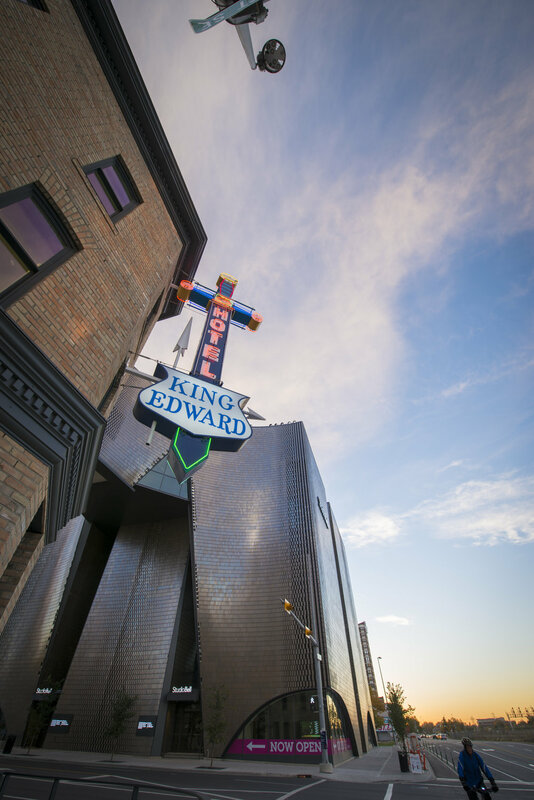 Forward-looking and functional from the ground up, it serves as a cultural and physical connector that reunites East Village with the Calgary core. Studio Bell, home of the National Music Centre, links Calgary’s musical past with its entertainment future, amplifying the love, sharing and understanding of music as it goes. Designed by Allied Works Architects of Portland, Oregon, Studio Bell is imagined as a living instrument, a destination and a new kind of cultural institution. 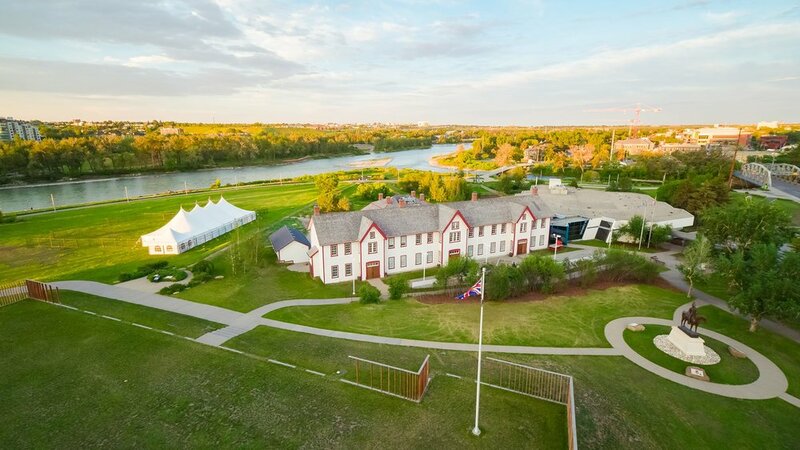 Fort Calgary is our neighbour to the east, and East Villagers couldn’t be happier to have a unique combination of historical passion and 40 acres of open space on their doorstep – a true luxury in the heart of the city. Public art does more than introduce colour and visual interest into an area; it both flavours and reflects the very vibe of the neighbourhood. Public art, besides being a City of Calgary policy, has always been an integral part of the EV Master Plan. 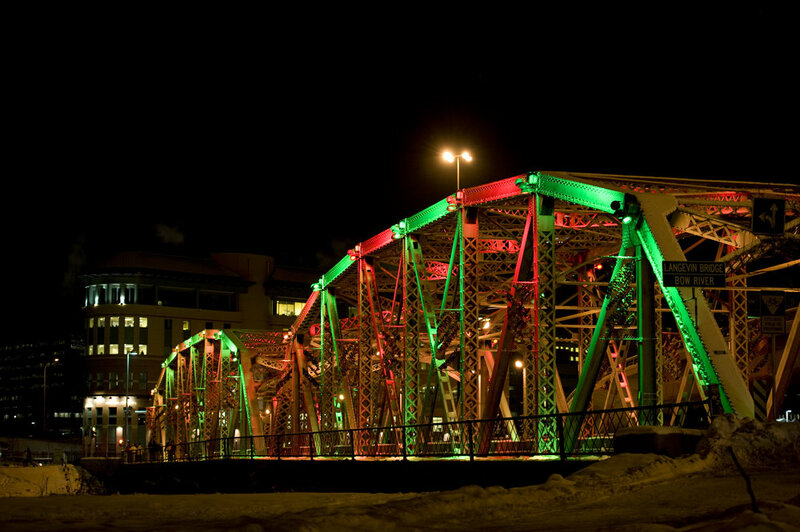 Show your true colours on EV’s Reconciliation Bridge. 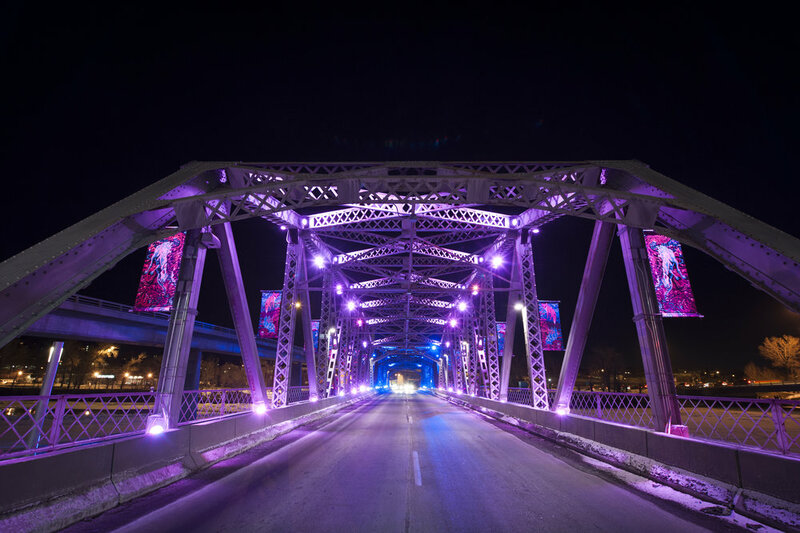 The 100-year-old Reconciliation Bridge in East Village is lit with thousands of LED lights that change with the seasons and in honour of holidays and events. Now you can choose the colours you’d like to see on this brilliant gateway to East Village. EV already has caffeine of many kinds, snacks of every sort, and choices for breakfast, lunch, dinner and drinks. There’s makeup and medicine. Haircuts and home accents. And soon, a major grocery store – now under construction. More than 3,200 people call EV home, and one day, there’ll be 11,500 living here. 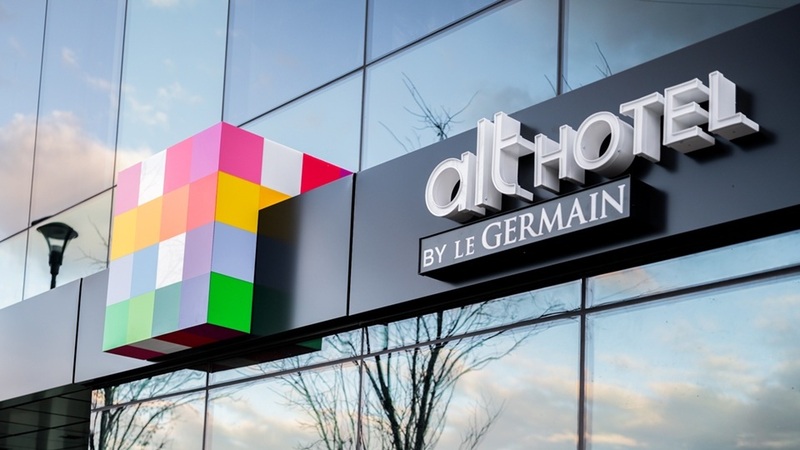 The community’s retail strategy is designed to ensure that residents, neighbours and visitors can shop for everything they need and virtually anything they want right here in the neighbourhood. We searched for the right big partners for everyday necessities, and for small, smart independent boutique owners who bring energy and a unique shopping experience. 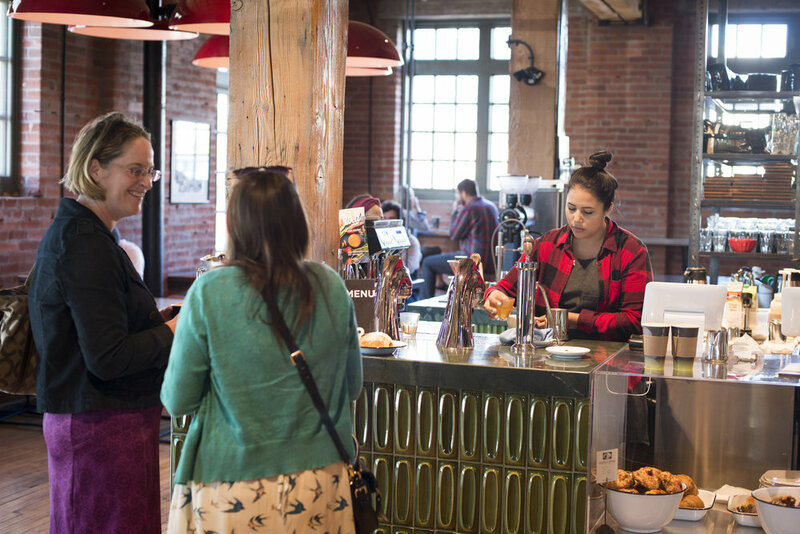 The independent energy and destination retail promised by our Village Format strategy was first brought to life when the historic Simmons Building opened in 2015, where Phil & Sebastian Coffee Roasters, Charbar and Sidewalk Citizen Bakery nourish our ever-growing community. Since then, entrepreneurial and innovative new shops are popping up nearly every month, offering everything from fine jewelry to fur baby accessories. They are small spaces with big ideas about visitor experience. Urban Format shopping is all about needs: the need for groceries, drug store items, a few clothes for fun. RioCan's “5th & THIRD” is the heart of this idea. The 230,000 square foot retail centre is now under construction and will bring an urban concept Loblaws City Market and a Shoppers Drug Mart to EV, with other retailers to be announced soon. Click below to find a full listing of retail, dining and services offered in EV. While some 11,000 people will call East Village home upon buildout, there will be many visitors to the neighbourhood for business and pleasure. For them, EV offers hotel accommodation that ranges from the cozily familiar – under the Hilton brand – to cutting edge in the form of Alt Hotel by le Germain, to budget-friendly basics at Hostel International. Staying in style is easy for visitors to East Village and the Calgary core. Now open, the dual-branded Hilton hotel on 7th Avenue and 4th Street SE means comfy accommodations and an effortless walk to anywhere in the neighbourhood. 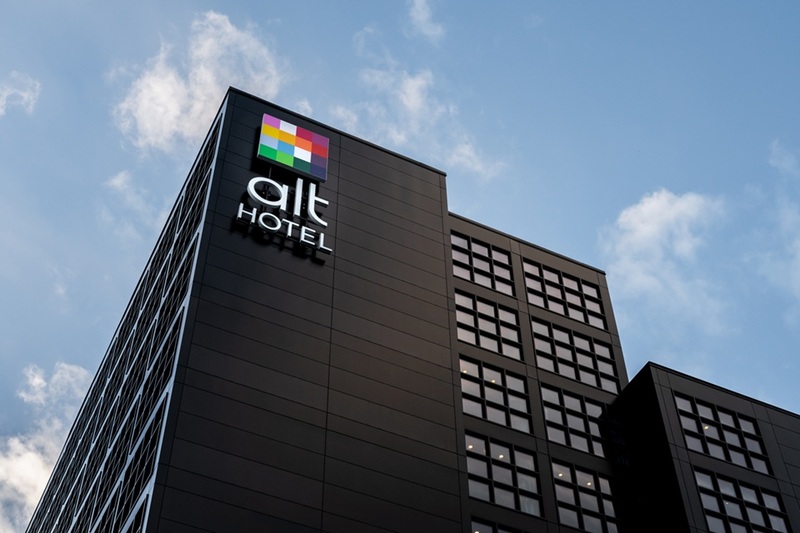 With spectacular views of the Bow River and downtown, the Alt Hotel Calgary by Le Germain – now open – offers in-the-know travellers modern design and eco-friendly features at rates to suit the shrewdest of wallets. Stick to a budget and socialize in the heart of East Village at the freshly renovated HI Calgary City Centre. This hostel on 7th Ave SE offers both private and shared rooms, as well as a fully equipped kitchen, communal hangout spaces, daily activities and more. There’s lots of momentum in East Village; the majority of property has been sold to developers and residential and retail construction is well under way. And there’s lots more to come: on RiverWalk, a spectacular contemporary building will provide a striking counterpoint to the Simmons Building next door. Additional residential projects will be advanced by our innovative developer partners, and a diverse mix of retail and commercial development will expand as remaining parcels are imagined. 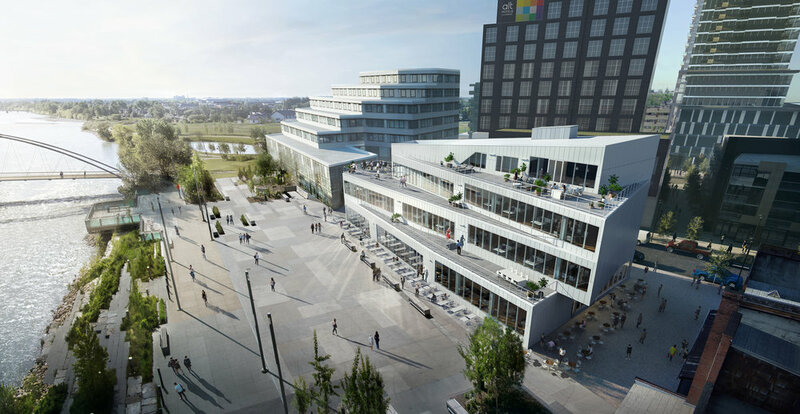 Main floor restaurants that spill out onto RiverWalk - accompanied by village-format retail shops and topped by office space and large terraces - will define the zig-zagging building that will become next door neighbour to the Simmons Building. The 230,000 square foot retail centre is now under construction and will bring an urban concept Loblaws City Market, Olympia Liquor, Shoppers Drug Mart, Winners and Scotiabank, with more to be announced soon. A strategic future-focused development is coming to life, thanks to a partnership between Calgary Parking Authority (CPA) and Platform. The 9th Avenue SE Parkade & Innovation Centre will combine 500+ stalls of parking across 5 levels with a space for Calgary innovators called 'Platform'.